This fact-filled book uncovers how life on earth continues to adapt in response to environmental change in order to help students further understand the relationship between humans and wild animals. It offers a lot to learn about our perception of certain animals and how inaccurate they are. 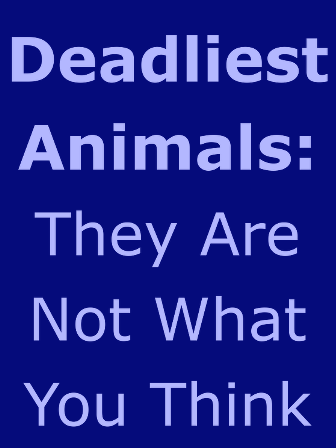 Readers will find themselves surprised by which animals should really be feared. This book can serve as a great addition to any lessons based on relationships between humans and animals and the effects humans have on animal behavior. Also, class discussions and essay topics based on what can be done to prevent human injury and death can stem from this informative text.